Amazon’s Deal of the Day is 1/2 Carat Black Solitaire Diamond Stud Earrings in 14K White Gold for $79.99 from $300. FREE S&H included. I HAVE bought diamond jewelry from Amazon before and been happy. Might be a good Valentine’s Day gift! Boots – $12 Shipped from $88! If you like this deal, MOVE FAST. First sign up for No More Rack and get $10 in your account when you spend $20. Run over and pick up the Novela Montana Boot for $20 or $12 shipped after discount! That is a $77 savings! They are great for winter! First head over to No More Rack. Get $10 in your account for signing up. If everything is sold out, make sure to check your email tomorrow a few minutes before twelve. NEW No More Rack Deals each weekday at Noon! Amazon has the Barbie Valentine Wishes Doll for $8.98 plus $2.99 S&H. This is fulfilled by a third party company, thus the S&H or you could get it from Amazon for $19.99 shipped. Barbie Secret Hearts Book for $3.99. The message in the top corner of the book says it comes with Valentines but I cannot see how many. Barbie Fairytopia Mermaidia is $6.99 with a $5 Video on Demand credit. See this and more Valentine Ideas of Frugal Coupon Living. If your child did not get the coveted Pillow Pets for the Winter Holidays, Amazon has the “real” ones as low as $15.49 shipped. Get FREE S&H when you spend $25 or with Prime. Get a free trial of Prime when you sign up for AmazonMom. Amazon has the TY Beanie Baby Smoothie Red and White Giraffe for $6.98. Get FREE S&H with Prime (sign up for AmazonMom) or when you spend $25. See more Valentine ideas on Frugal Coupon Living. Eversave – Harvard Sweets as low as FREE! Head over to Eversave today to get $30 worth of yummy treats and sweets from HarvardSweetBoutique.com for as low as FREE. Great for Valentine’s Day! This one can be found under most cities as the main or side deal. How do you get them for FREE? Use your $10 Holiday Bonus you should have received in December (for those who were already Eversave members)! This bonus does not expire until this time next year (12/21/11). Just log in to your account to see if it’s there. If you’ve been with Eversave for a while and never used the $5 credit you received when you signed up (now it’s $2), then use that with the $10 and you’ll get this save for FREE! If you’re new to Eversave, head HERE to sign up and you’ll get a $2 credit on your first purchase, making this save just $12! If you like this deal, MOVE FAST at No More Rack sells out fast. Sign up for No More Rack and get $10 in your account when you spend $20. 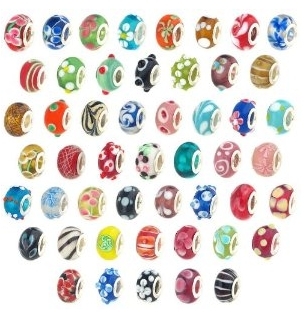 Pair with the $5 bracelets (from $49.99) and get both for $14 shipped or $7 each! This is a $79 savings! Both make great Valentine gifts! First head over to No More Rack. Get $10 in your account for signing up. New No More Rack Deals each weekday at Noon! 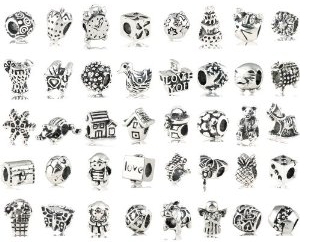 Let’s face it – Pandora bracelets are popular AND expensive! I found some nice alternatives on Amazon that might make a nice Valentine’s gift, especially for a younger receiver. Both sets are compatible with Pandora Bracelets. Amazon also has some Starter Bracelets, but please read the reviews before shopping.